Grinding Gear Games, developer of the critically acclaimed action RPG Path of Exile, today announced that their largest expansion to date, ‘The Awakening,’ will launch on Friday, July 10th. The Awakening has had an incredible Closed Beta period with unprecedented player and press support. Act Four is finally here, giving players a spectacular new experience in the dark world of Wraeclast. This week, Grinding Gear Games unveiled the complete version of Act Four, containing new areas, monsters, six boss fights, five previously unannounced skills, 13 end-game maps, two challenge leagues and a climactic multi-stage encounter with Path of Exile’s new end boss! 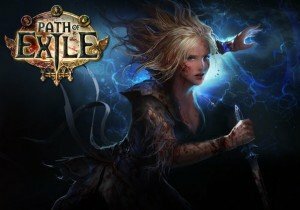 As part of increasing global popularity and growth, Path of Exile: The Awakening will be releasing simultaneously in Russia, Taiwan and Singapore with a view to further localization in Europe and South America later this year. Grinding Gear Games has a ten-year vision for Path of Exile and The Awakening marks the most significant content update in the two years since release so far. Skyforge will hold its fourth and final closed beta test from June 23-29 and will give all players access to two high-tier classes.